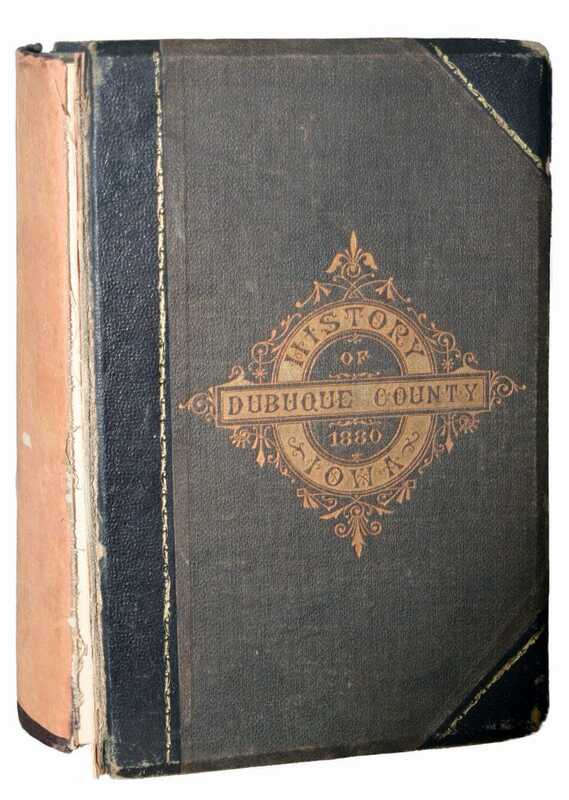 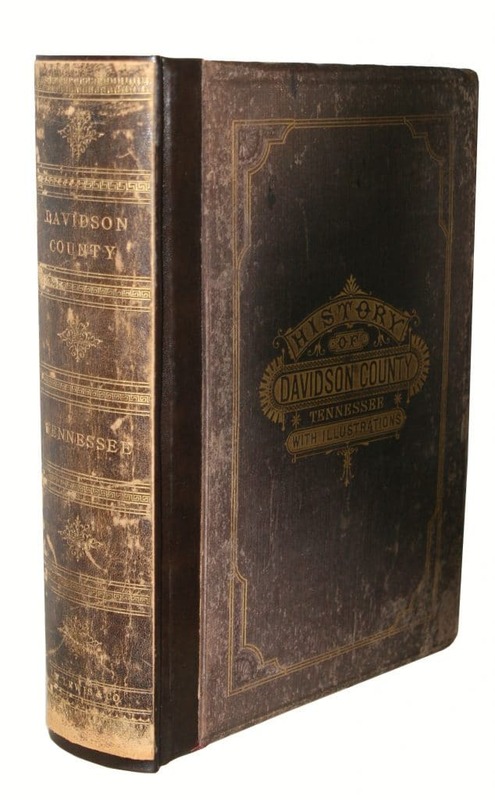 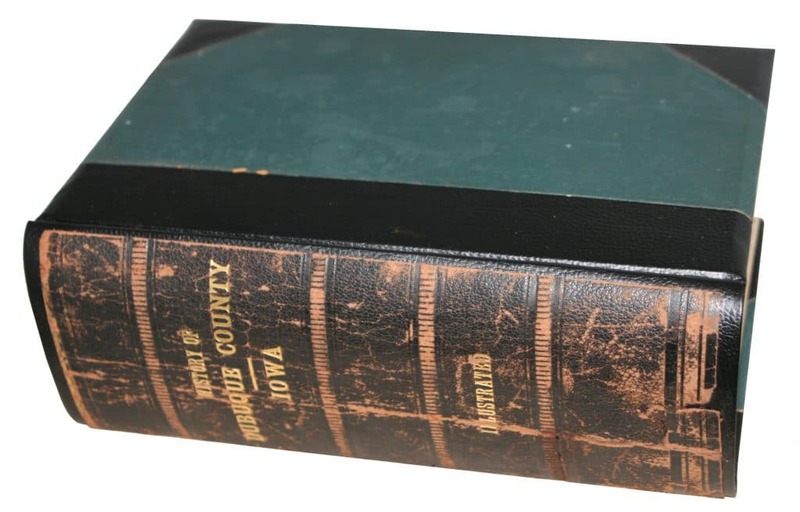 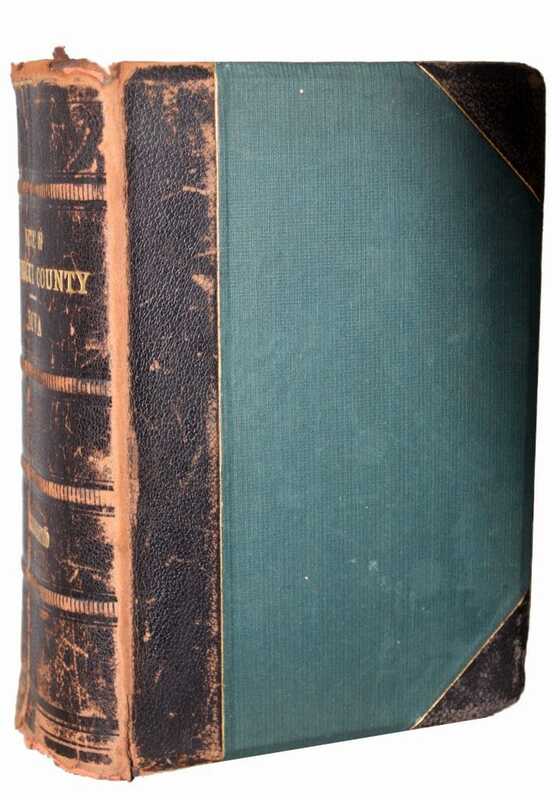 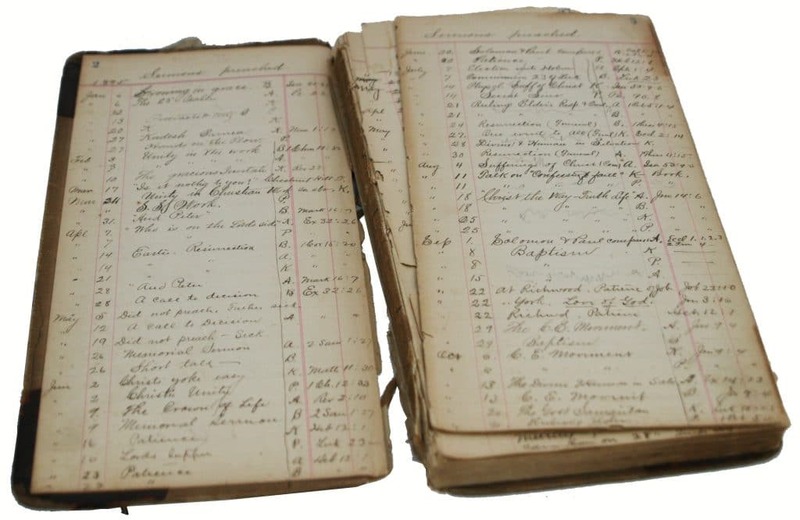 These family history books were county histories that were coming apart. 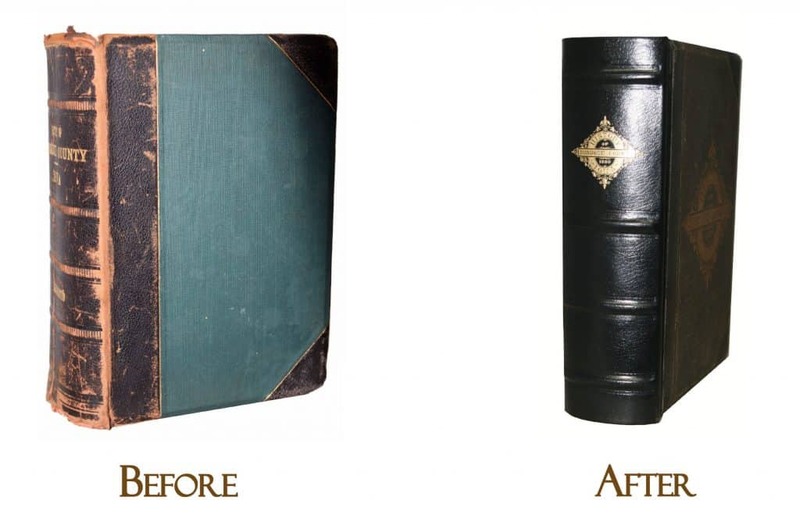 When there is no spine or a very weak one, our bookbinder creates a new one and then reattach the cover to the newly created spine. 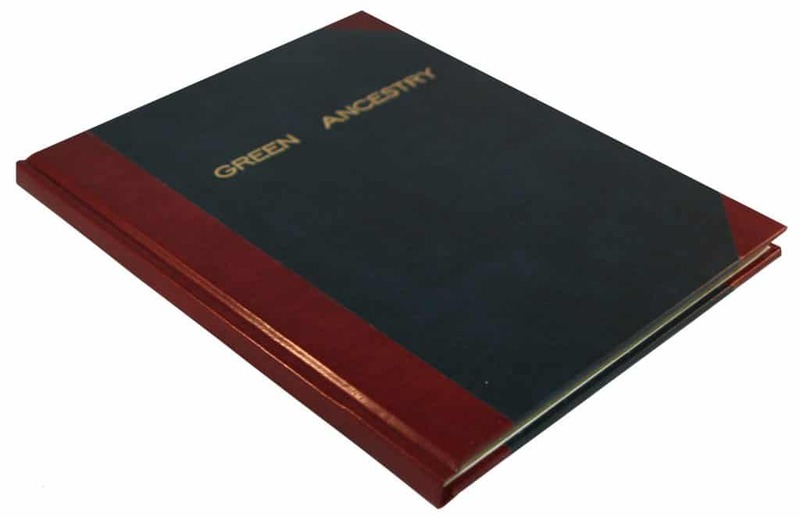 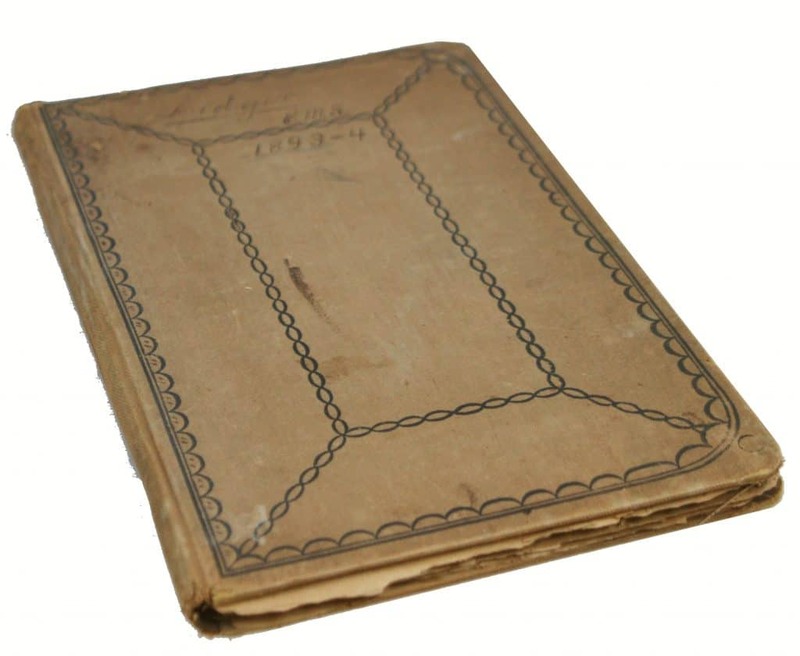 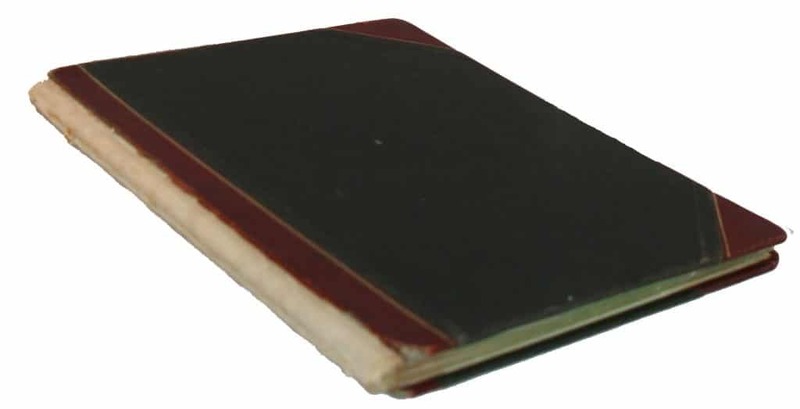 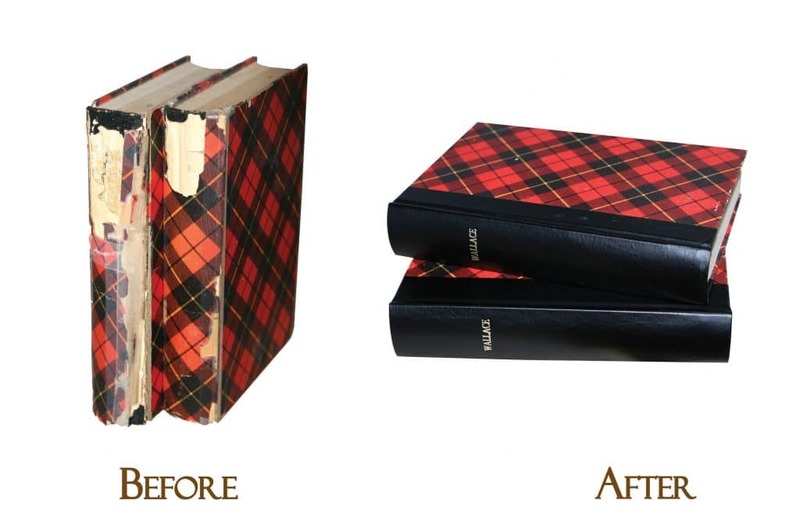 Another popular way to save sentimental family history book covers is to use the "well" method. 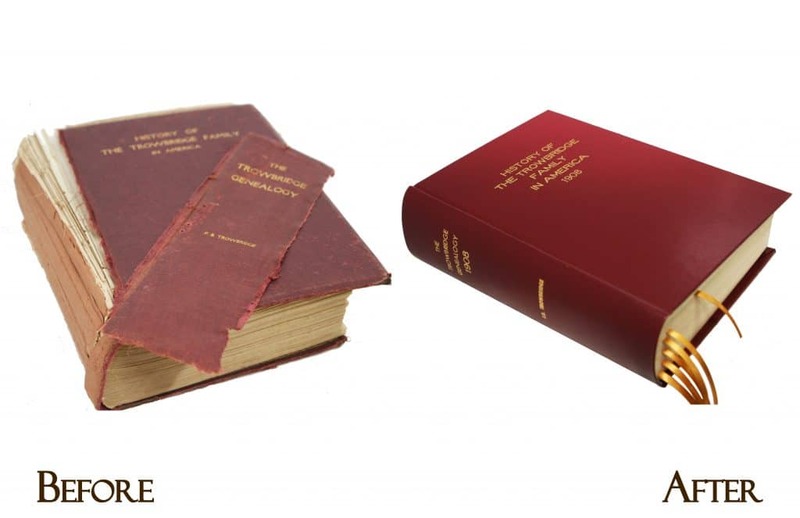 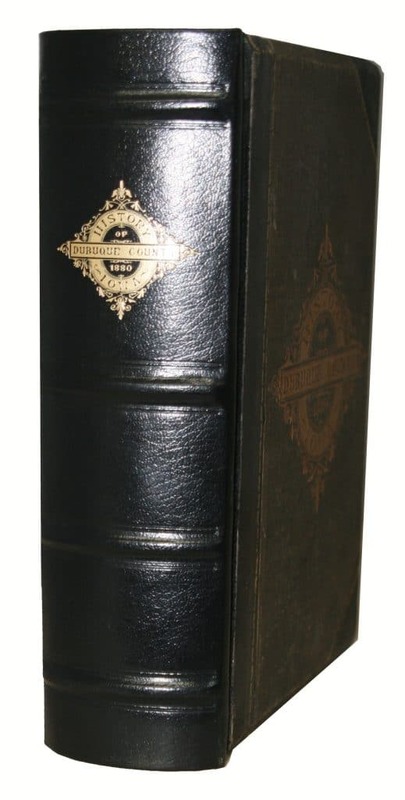 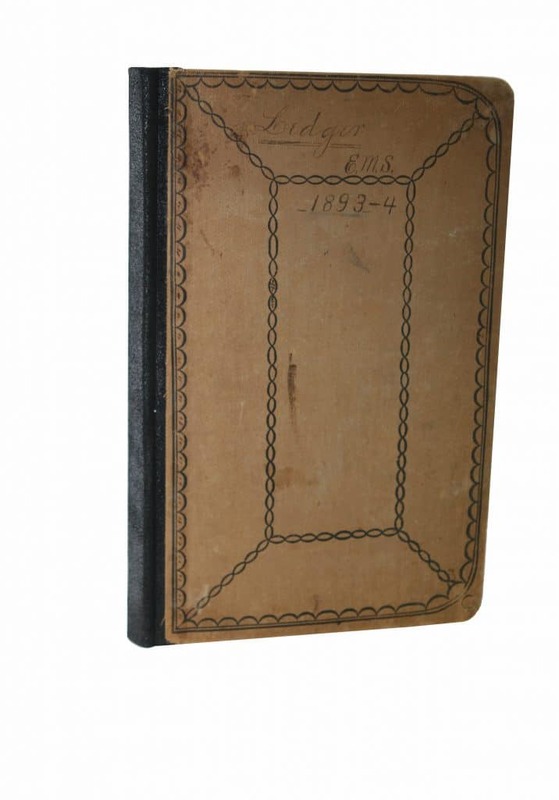 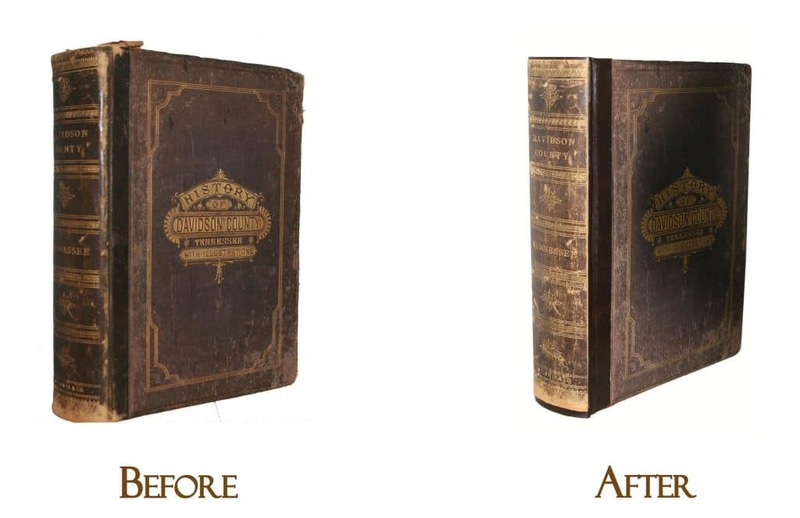 Under this method, a bookbinder will create a new spine and cover from scratch with the original cover to be attached to the new cover or flush to the new cover. 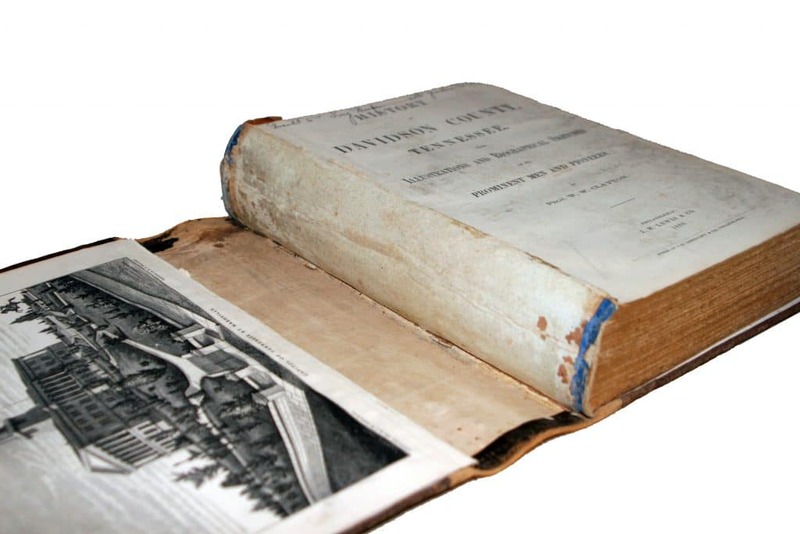 The "well" method is further discussed in Bible Restoration and Options and Extras for more detail.